Karmic upgrade, broken sound. Workaround. 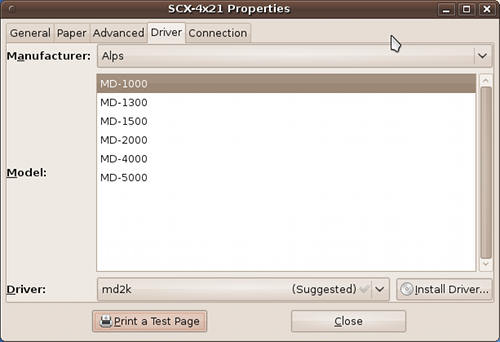 Published on 9 November, 2009 in FOSS. 9 Comments Tags: audio, karmic, ubuntu, upgrade. Upgrading to Karmic on a Dell Optiplex 755 desktop resulted in broken sound. GNOME has no sound, but opening up the mixer shows the device (analogue stereo output) and indeed when I play a sound I can see it come up on the “applications” section of the mixer. The problem is that not only does no sound come out, but any application (from Totem to aplay) which tries to play audio hangs. In Jaunty the sound preferences utility was much more powerful. You could choose between Pulseaudio, Alsa, ESD and OSS for various types of sound, everything was much more configurable. Now in Karmic, that’s replaced entirely and no longer possible – it appears to be Pulseaudio or nothing. So, the “fix” is to purge pulseaudio and utils, leaving only Alsa. Reboot and magically sound works, but we’re not out of the woods yet! Problem now is that we have no mixer under GNOME because unlike in Jaunty, it can only talk to Pulseaudio. Starting up the mixer from the command line shows it “waiting for server.” Not only that, but Totem still can’t play sound, presumably because it too is waiting for Pulseaudio. So, what to do next? Install VLC. This isn’t even a fix, in fact it’s hardly a decent workaround, but it is sufficient for now. How the average user is supposed to deal with this is beyond me. It’s a pity there is no longer the ability to switch between sound servers..
Update: Looks like this has been an unresolved problem for the last three months. The Just another Linux geek archives for the karmic tag.